This is was the first website we created for the indie book publisher Fairlight Books. 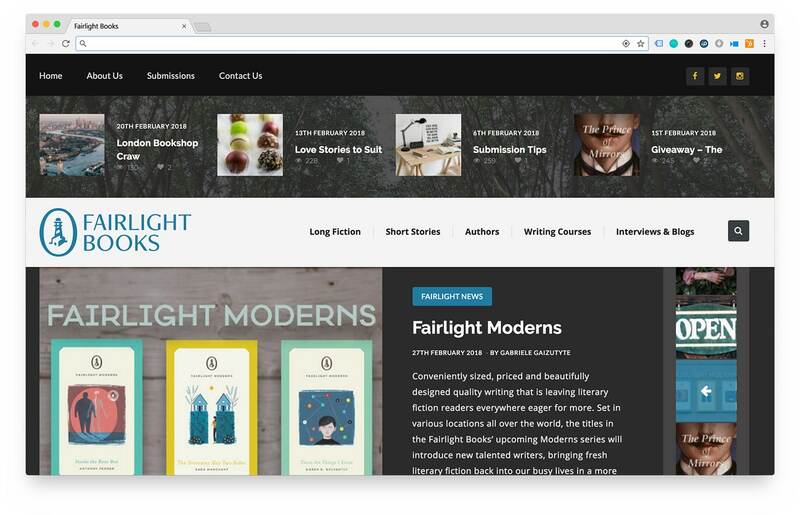 A brilliant, young, dynamic company, Fairlight Books wanted a website in a magazine/blog style where they could showcase the work of their authors, as well as engage with amateur writers. Of course, WordPress was ideal for this and the end result has had fantastic results since it was launched in the summer of 2017. We also created the Fairlight Hub website.